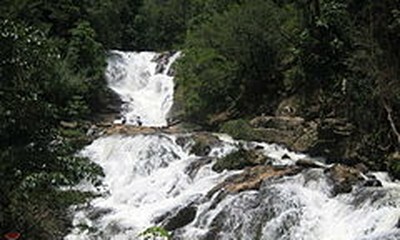 (VOVWORLD) - The Vietnamese nation’s history goes back thousands of years. Lac Long Quan, the Dragon Lord of Lac, is considered the father of all Vietnamese people and Au Co, the Fairy Goddess, their mother. One of the couple’s children became King Hung and founded Van Lang, the first nation in Vietnamese history. Having ruled Vietnam for 18 generations, the Hung Kings are worshiped at a complex of temples. The Hung Kings Temple, 80 kilometers west of Hanoi, is a Special National Historical Relic in Viet Tri city. The former capital of Van Lang lies between two rivers that served to protect the capital. 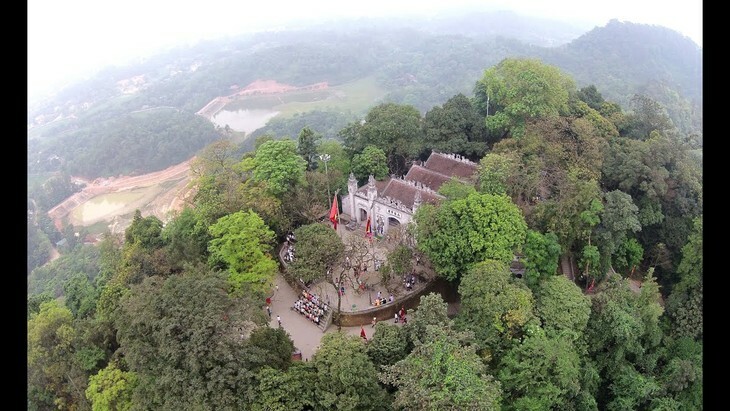 The temple complex was built on Nghia Linh Mountain during King Dinh Tien Hoang’s rule in the 10th century and upgraded to its present form in the 15th century. The 850-hectare complex consists of four temples, one pagoda, a tomb, and a museum featuring the formation and development of Van Lang. The 8.5-meter entrance arch has 8 tiled roofs engraved with dragons and lion cubs. In the front are embossments of two soldiers wearing amor, one carrying a spear and one carrying an axe. Up the mountain from the entrance arch is Lower Temple, where there are three thrones and tablets to worship all 18 Hung Kings. According to the legend of Vietnam’s origin, Lac Long Quan married Au Co, who laid a sac of 100 eggs at Lower temple from which 100 children hatched. The temple is where President Ho Chi Minh spoke with soldiers on their way to take over Hanoi in 1954. He said, famously, that “the Hung Kings founded the nation, you and I must hang on to it”. Further up the mountain is Central Temple. This is where the 6th Hung King held a competition to select as his successor, who ever had the best offering for ancestral worship, instead of following the usual custom of ceding the throne to his oldest son. His youngest son, Lang Lieu, who used sticky rice to make a white round cake (Giay) and green square cake (Chung) to symbolize the sky and the earth, won the competition and became the 7th Hung King. A palanquin procession is an important Hung Kings commemoration rituals. Other sites in the Hung Kings Temple complex are Thien Quang pagoda, a tomb believed to be the grave of the 6th Hung King, a temple to worship Au Co, and a temple built in 2007 to worship Lac Long Quan. 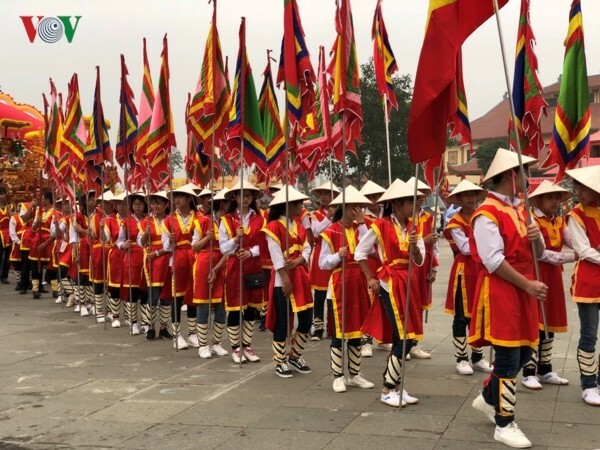 The worship of the Hung Kings has been recognized as an Intangible Cultural Heritage of Humanity. A festival is held on their death anniversary, the 10th day of the 3rd lunar month, to commemorate the enormous contributions of the Hung Kings.